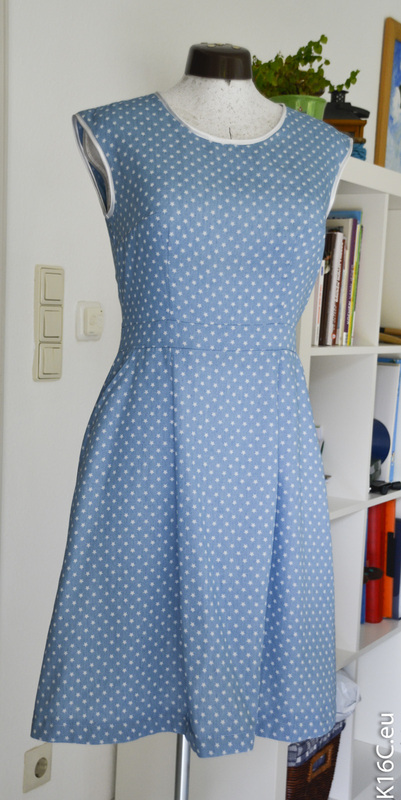 I can’t really say when I started sewing but I think I was about 6 years old when I made my first sewing item with the old sewing machine of my mom. I made little pouches to put lavender in. 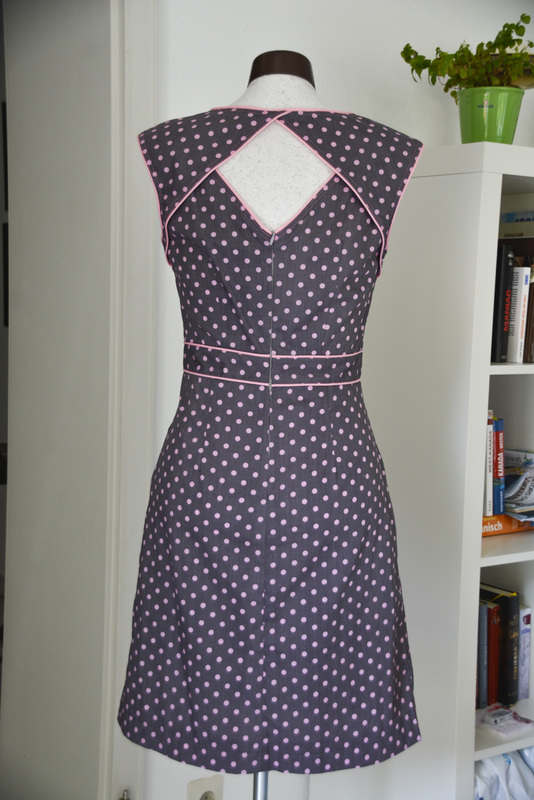 Around this time my mom was rediscovering the joy of sewing. 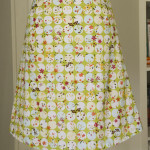 In the following years she was teaching me how to sew. 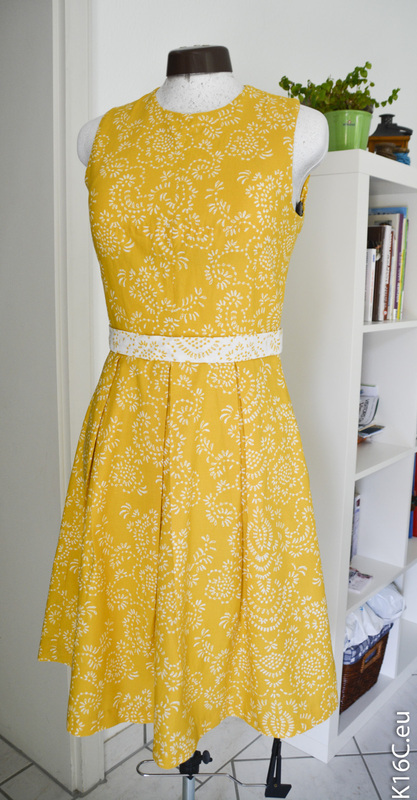 Later I wanted to sew my own garments. 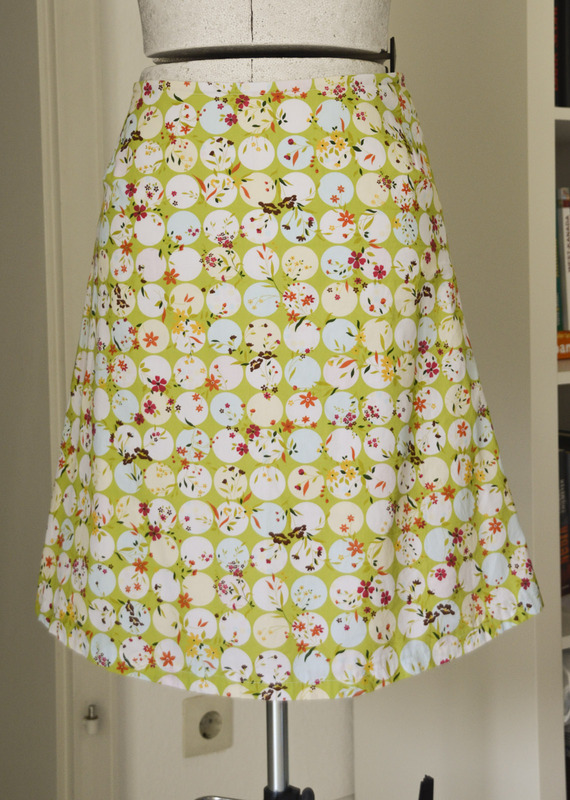 I can’t remember it exactly but I think I started with a skirt. 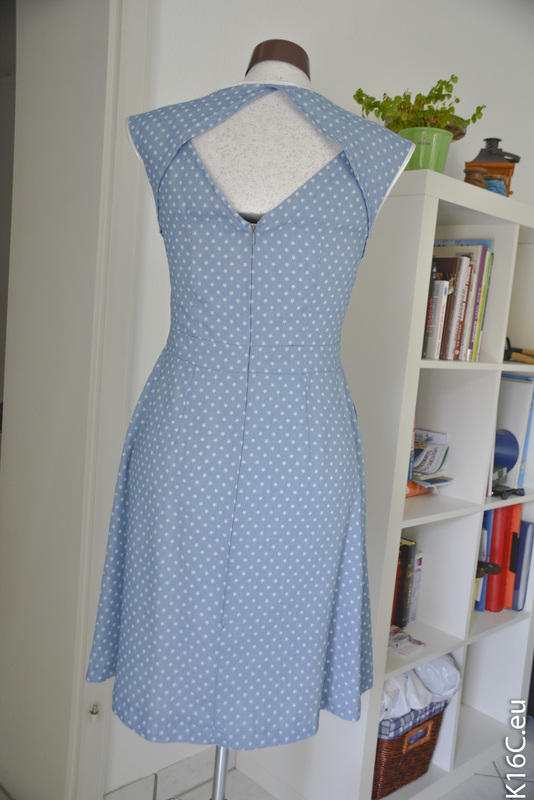 Just two side seams, an elastic around the waist, and I was done. 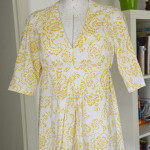 Most garments I sewed till now are t-shirts. 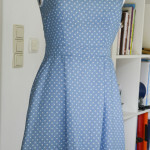 They are easy and fast to sew (in my opinion). 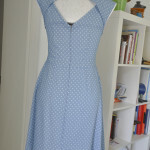 Nowadays my wardrobe is around 80-90% self made. Just basics and underwear are bought at shops. 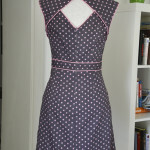 When it comes to knitting I can say it’s the same evolution as it was with sewing. My first garment was a light lavender colored pullover with short sleeves knitted with a 15 mm needle. Wow… that was knitted fast! Now my favorite needle thickness is around 4 to 6 mm. 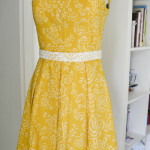 So let’s say I have 13 years of sewing and knitting experience and I still love creating and making my own garments. They fit better, they are unique, they reflect my personality, simply: they are me. 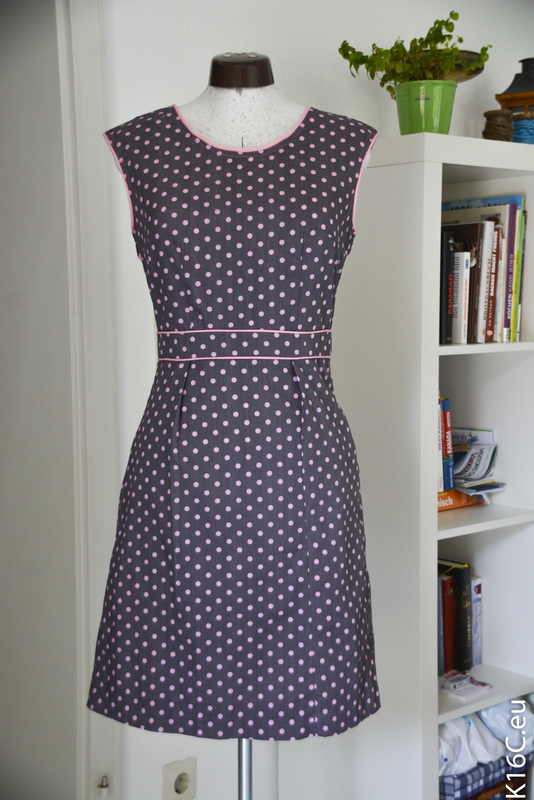 Belladone dress refashioning (grey with pink dots, stoffmarkt) Deer and doe… just the top. 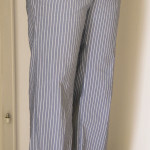 Pants (light blue, white stripes; Stoffmarkt) burda easy fashion.. alternated to wide legs. 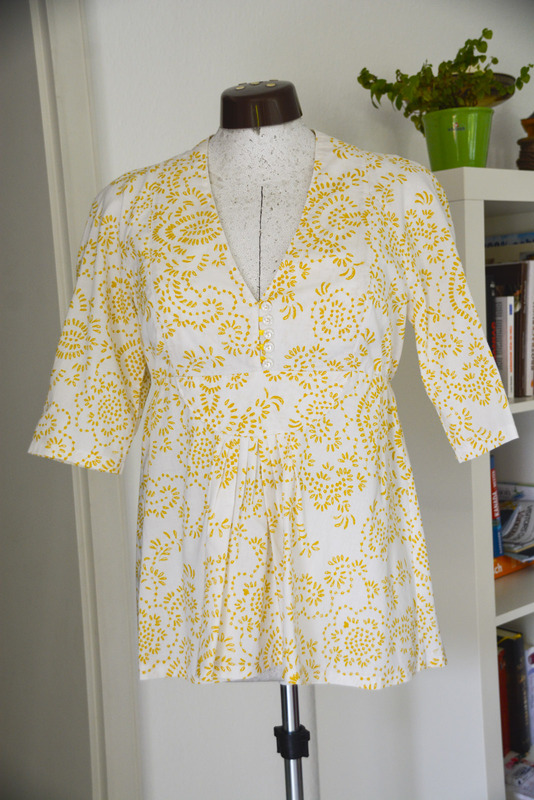 Blouse(yellow with flowers, IKEA) Burda June…. No alternations.